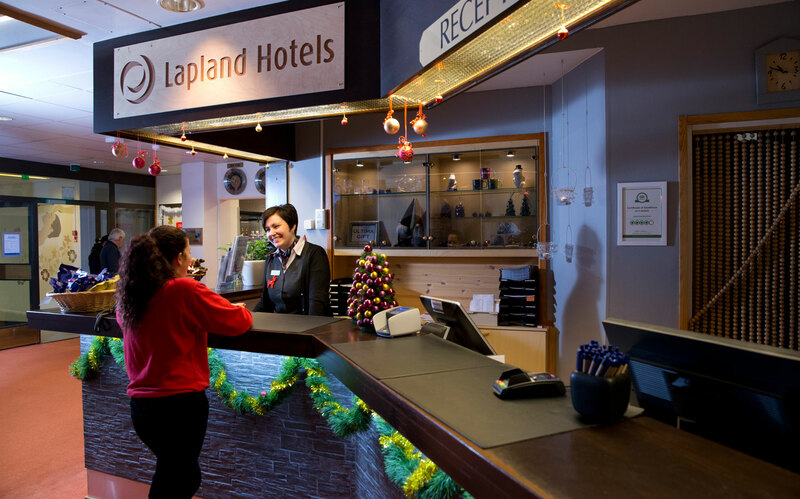 This elegant hotel has excellent facilities and even has its own special Northern Lights viewing room! 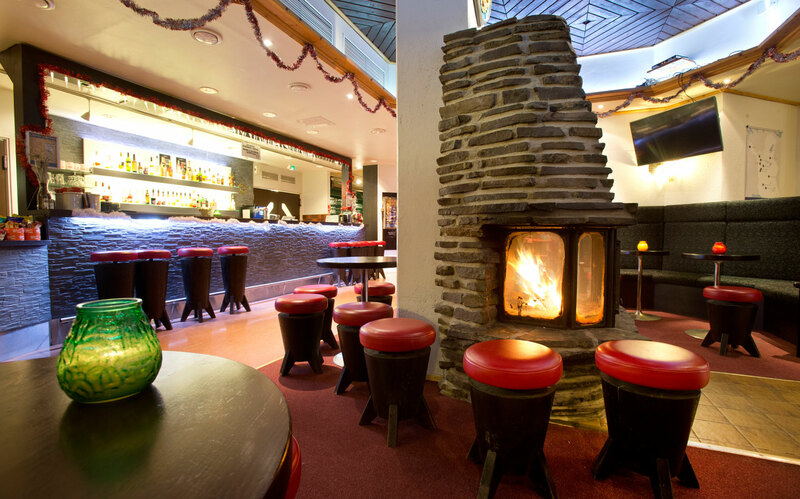 Situated close the the village centre, this is a very popular family hotel. 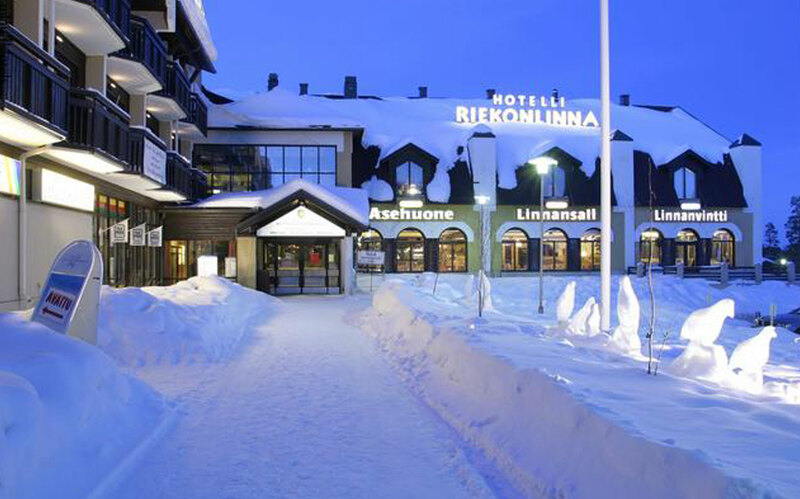 The Hotel Riekonlinna is very popular with my visitors to Lapland. With its excellent range of facilities and a reputation for wonderful food. A favourite feature of mine is the Northern Lights Lounge, which offers big squishy sofas looking out to the northern skies through huge, wall-to-wall panoramic windows, so you can watch for the Aurora Borealis in warmth and comfort! Children meanwhile will probably be more interested in the play area and the hotel’s toboggans, provided free of charge for use by guests. 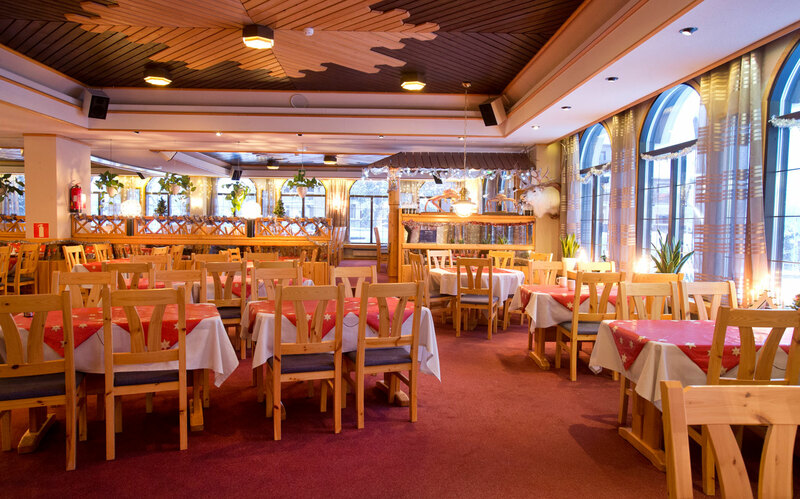 The Hotel Riekonlinna offers a range of family rooms, suites and stylish, well appointed family apartments set in the woods behind the main hotel building, approx. one minute’s walk away. All sofa-beds are suitable for two children under 10 or one older child or adult. Type A Bedrooms, sleep 4 – comfortable bedrooms with twin beds and a sofa-bed. All rooms have private en suite shower, wc, balcony, TV, minibar, tea/coffee making facilities and hairdryer. Type A Bedrooms, sleep 2-3 - Twin bedrooms with an extra put-up (non permanent) bed for a child. All rooms have en suite shower, wc, balcony, TV, minibar, tea/coffee making facilities and hairdryer. Paired rooms: There rooms can be booked as a pair for families of 4-6 (in adjacent rooms). Type B Family Suites, sleep 4 – twin bedroom and separate lounge with double sofa-bed or two single sofa-beds, sharing private sauna, shower, wc, balcony, TV, minibar, tea/coffee making facilities and hairdryer. (One suite has a bath rather than a shower, but no sauna). Type C Family Suites, sleep 4-5 – two interconnecting Type A rooms, one with private sauna, and each with own shower, wc, balcony, TV, minibar, tea/coffee making facilities and hairdryer. Supplement*: 4 Sharing £14.95, 5 Sharing £12.95. Type D Family Apartments, sleep 3-4 – twin bedroom and separate lounge with double sofa-bed, sharing private sauna, shower, wc, balcony, TV, hairdryer and kitchenette. Supplement*: 4 Sharing £16.95, 3 Sharing £21.95. Type E Family Apartments, sleep 5-6 – two twin bedroom and separate lounge with double sofa-bed, sharing private sauna, shower, wc, balcony, TV, hairdryer and kitchenette.